We will never know what 100 Thieves could’ve achieved at Fort Worth if Priestah didn’t fall in and the team had to play with former 100T player, Fero. After their successful cross-divisional performance which included a convincing 3-0 sweep over arch rivals, OpTic Gaming, momentum is running high heading into London. In recent years, Slasher has established himself as one of the most consistent players in Call of Duty and has managed to overcome the issues that hindered the team early in the season. Kenny has also found his feet after switching to the Maddox. With these two hitting some serious form, can 100T take home the title in London? Since winning the first event of the Black Ops 4 season, it’s been an interesting time for the Green Wall. A returning Dashy instantly gave OpTic a boost in team chemistry having played the first part of the pro league with a substitute. At Fort Worth, there were signs of sheer brilliance but also some much-needed improvements. Cross-divisional play did display improvements, but it also showed that the Green Wall is certainly able to be defeated after an extremely close series against Denial Esports. 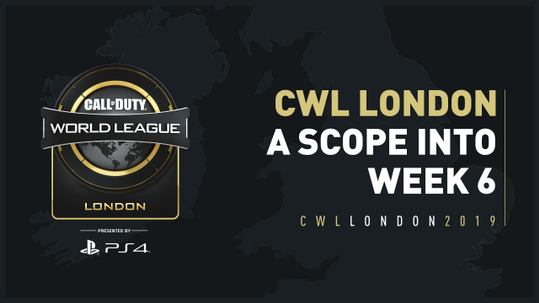 Moving forward to London, OpTic have some time to rectify their problems. However, there is a possibility of them not securing a top two placement in this highly competitive pool. As the dark horse of the pool, Enigma 6 certainly possess the ability to cause an upset in pool A. 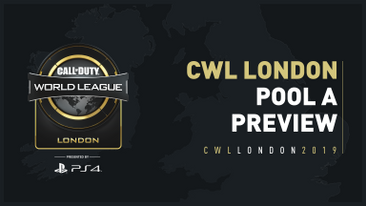 Their sublime Control gameplay has been some of the best in the Pro League but both Hardpoint and Search & Destroy have displayed some weaknesses that need to be addressed before London. If this team can iron out these issues then a top two finish in the pool of death is a possibility. Kismet in particular has shone even when the team are underperforming so it will be crucial for his teammates to keep up with him if they are to have a chance of advancing into bracket play. Since the addition of young European superstar slayer Dylan to the team, Reciprocity have become a force to be reckoned with in the CWL. The extra boost of aggressive slaying power that Dylan brings to the team led to a top three finish at Forth Worth and big improvements during the cross-divisional stage of the Pro League. It’s not just Dylan that is bringing the firepower. European veteran Tommey is still showcasing why he is still one of the best players in the world, dropping consistently high numbers in the slaying department and displaying quality leadership amongst a relatively young team. The European powerhouse can take one of the two places up for grabs in the pool. Their match against 100 Thieves has the potential to be a five-game thriller. If they are able to overcome the thieves then a top two spot is all but guaranteed. 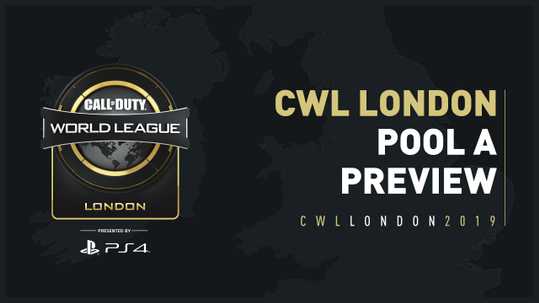 Pool A for London may be one of the most competitive pools that I have ever seen in Call of Duty esports. There are so many possible outcomes with all four teams showing signs that they are capable of defeating the other. With Slasher finding serious form, it will be a tough task to beat 100T at their strongest so I can see them taking the top spot. Second place is anyone’s guess! If E6, OpTic and Rec are all playing at their best then it could well be any of these three teams which moves into bracket play. Judging of recent form, I think Reciprocity have what it takes to advance at their home event. Which two teams do you think will make it out of the pool of death? Let us know on Twitter!